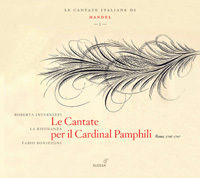 This year we are delighted to congratulate Roberta Invernizzi, La Risonanza and Fabio Bonizzoni upon the award of first prize for their exemplary disc Le Cantate per il Cardinal Pamphili. This is La Risonanza’s first volume in what the group hopes will be a complete series of the ‘cantate con strumenti’ (i.e. cantatas accompanied by instruments in addition to basso continuo) that the young Handel composed during a fertile period working in Italy (1705-10). The programme’s coherence, Invernizzi’s authoritative yet delightful singing, and La Risonanza’s theatrically coloured playing have raised the performance standard for Handel’s Italian cantatas. Bonizzoni’s refreshing direction is entirely devoid of the coolly dispatched detachment or mannered feyness often found in this repertoire. The early indication is that this lovingly prepared series will be of the utmost important to Handel lovers, and we offer our utmost encouragement to La Risonanza for its endeavours to complete the project in time for the 250th anniversary of Handel’s death in 2009. We congratulate all performers involved and the pioneering Spanish early music label Glossa for producing a lovingly prepared recording, and acclaim it as the finest testament of Handel’s genius produced on CD during 2007. We also congratulate this year’s runners-up: Angelika Kirchschlager’s recital of arias (on Sony BMG) that Handel composed for the castrato Carestini and mezzo-soprano Durastanti (featuring music from Giulio Cesare, Arianna in Creta and Ariodante) was superbly accompanied by the Kammerorchester Basel under the astute direction of Laurence Cummings. The panel of judges also commends a collection of duets from Handel’s English theatre works sung by Carolyn Sampson and Robin Blaze (with the OAE directed by Nicholas Kraemer, on BIS), and a DVD of Glyndebourne’s recent staging of Giulio Cesare (in which the OAE were conducted by William Christie, on Opus Arte). Several panel members also drew special attention to a dramatic performance of the opera Poro, issued by the Göttinger Händel Gesellschaft. Orchestra of Patras; George Petrou; MD&G. 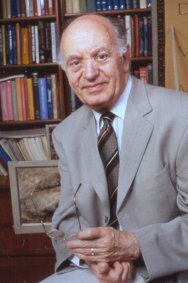 Endnote: A live recording of Poro (conducted by Konrad Junghänel and featuring the Akademie für Alte Musik Berlin) was not eligible for consideration because it is only available to members of the Göttinger Händel Gesellschaft (Göttingen Handel Society).